Normit Mayonnaise line is intended for effective processing of classic mayonnaise or processing and filling similar products. Mixing is a key stage in mayonnaise production. 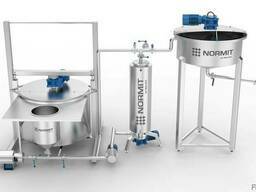 The part of Normit mayonnaise line is high- speed mixer that ensures perfect mixing. Production of mayonnaise is a batch process. Oil is pumped from IBC tank to measuring vessel with a level sensor. 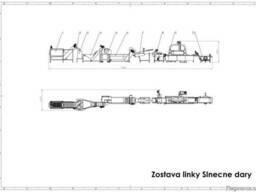 Liquid flows from the measuring vessel with a help of gravity to the high-speed mixer. Into the mixer are added other raw materials and and the process of mixing begins. The final product is pumped to an aseptic storage tank under constant pressure. Tanks are designed and manufactured to store mayonnaise prior to filling. 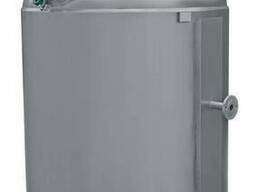 The tank needs to be connected to the source of pressurized air when connected to the filling station, using pressurized air to produce the necessary pressure at the inlet of the filler. 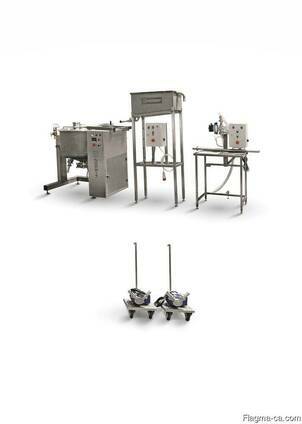 Our technologies for raw materials can handle all your ingredients, including both liquid and powdered eggs. The prepared ingredients are added to the mixer where the water is added. All parts are thoroughly mixed and other components are added. The resulting solid mixture is further agitated to produce a perfectly homogeneous cream consistency. The resulting product is mayonnaise, which is sent for packaging.